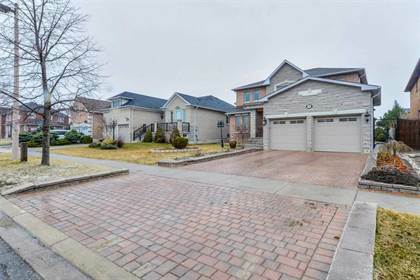 I am interested in 28 Allenby St, Vaughan, ON. 28 Allenby St is a - square foot House for sale in Vaughan, ON L4H3P4. It has 4 beds, 4 baths and was listed on Ovlix.com since March 5, 2019 by Oneforall Realty Inc. for $1,549,900. Listing agent: Dan Tieu. The average price for similar 28 Allenby St real estate listings - $1,304,791 which is 11% lower than $1,466,414 for Vaughan, and 20% higher than $990,220 for Ontario. Comparable nearby homes are: 104 Golden Forest Rd, 99 Village Green Dr, 2 Butterfly Hts, 73 Coral Acres Dr, 58 Knightshade Dr. What's near 28 Allenby St, Vaughan L4H: Dragon Fire (roller coaster), St. Jean de Brebeuf Catholic High School, Purpleville, Ontario, McMichael Canadian Art Collection, Halloween Haunt (Canada's Wonderland), Leviathan (roller coaster), Maple High School, Time Warp (roller coaster), St. Joan of Arc Catholic High School.